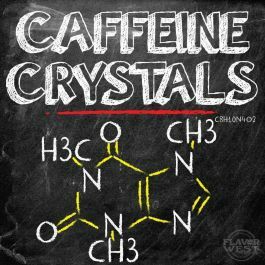 Caffeine Crystal (100% Pure Caffeine). Ingredients: 100% Pure UPS Kosher Grade Caffeine Powder. Mix Ratio: 1 Gram of Caffeine Powder per 1oz of Propylene Glycol = 1000mg. Directions: Add Caffeine Powder to Propylene Glycol and Stir in With Light Heat. Usage Rate: No more than 500mg in a 24 hour period. Use at your own risk, Keep out the reach of children.